The second of a two-part blog on ’Maximizing the impact of an analyst briefing’. 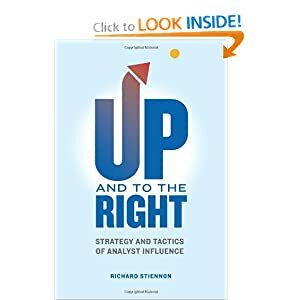 This is an adapted excerpt from Richard Stiennon’s book – Up and to the RIGHT: Strategy and Tactics of Analyst Influence. You can read part 1 here. 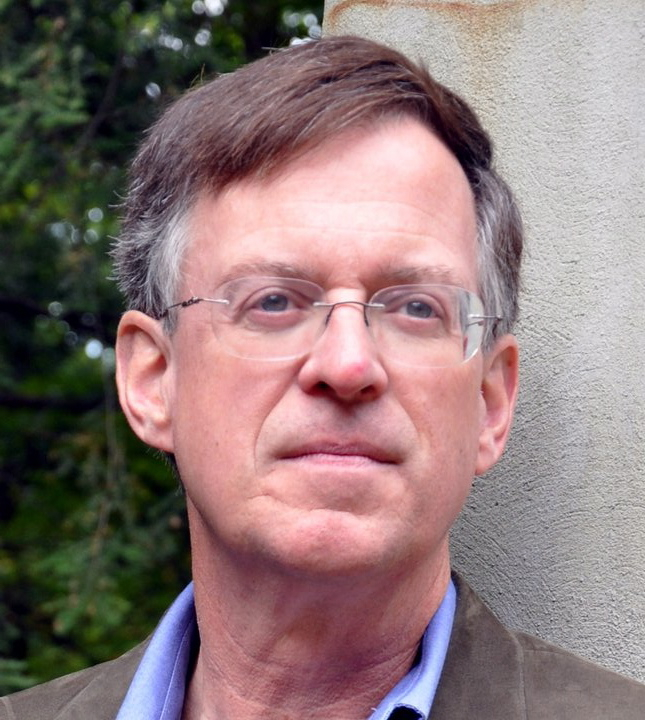 The IIAR will be holding a webinar with Richard on October 4th to hear more about his book and IIAR members wishing to buy his book will receive a 50% discount. Every interaction with the analyst builds on your relationship but the briefing is a structured opportunity to establish a communication bond. It is important to identify who is going to represent the company to the analyst. Contact consistency is key. If a different person briefs the analyst each time, they are not going to know anyone at your company at all. There are two separate bonds to create. The bond with the AR/PR person and the bond with the product person. The AR/PR person is going to quickly get on a first-name basis with the analyst. She/he is the communicator, one who knows the company’s message, people, and business, but not necessarily the ins and outs of the product. Not being technical is fine. The analyst does not expect the AR person to answer questions on product details, but the AR person is an excellent facilitator. This is the person who arranges all the briefings and inquiries and is on all the calls. If the analyst ever has a question, you want him to feel he can reach out directly by email, and eventually, phone the AR person. The AR person must get back to him as quickly as possible with the answer. Always cite the source when doing so. Mention by name the CEO, CTO, or product specialist that provides the answer. Always build on the analyst’s understanding of who your company is. The AR person must attend events at which the key analysts are present. Build on the relationship by associating a face/personality with the name and voice on the phone. Schedule a breakfast meeting to include the AR person, the analyst, and the CEO or product specialist. During briefings is when you also build the connection between the analyst and your product expert. Your expert may be the technical founder of your company if you are still small and growing, or it may be the product engineer or manager if you are a large established firm. It should not be the product marketing person. It has to be someone who works on developing the product, who knows the code it is written in, who works with customers on product issues, in short the technical owner of the product. This person will probably be more technical than the analyst and thus command respect. If he or she is also a well-known name in the industry from previous successes, or work in the open source community, all the better. The product expert should be shepherded by the AR contact who will work to create opportunities to strengthen the bond with the analyst. Any white papers the product expert has written, or videos he/she has produced, should be shared with the analyst. The more the expert can teach the analyst the better. If the product expert is not a fluid communicator that is okay. Certainly fluidity and comfort comes with practice, maybe a little training, but the analyst will cut him some slack. They deal with geeks within their client base all the time. The second purpose of the briefing is to convey a solid understanding of what your company is (ability to execute in the Magic Quadrant) and what your company does (completeness of vision). This might be hard if you are HP or Yahoo! right now. If the company is not even sure of where they are heading and what business they are in, the analyst will pick up on that. If you have a complicated message and a complicated go-to-market strategy, simplify. Make the image of your company easy to fit into the Magic Quadrant you are targeting. By way of illustration: your company has a complete suite of office productivity tools, from word processing to financial planning to integrated voice-text-video. The analyst, however, only covers word processors and is gathering data for the next MQ on word processors. Don’t depict your company as one that has dozens of perfectly integrated tools of which word processing is a small part. Paint your company as a word processing company that has built dozens of ancillary products that feed into the word processor. See what that does? Your disjointed scope is transformed into demonstrable completeness of vision! Gather intelligence on what the analyst is looking for. It is during the briefing that you are going to be exposed to how the analyst thinks about the space. Try to understand that as clearly as you can. Ask questions for clarity. This intelligence is going to inform all of your future communication with the analyst. She thinks that growth in a number of re-sellers is a key indicator of ability to execute? Make sure she knows about every major re-seller you sign up and the upward trend in numbers of re-sellers. Ask her to define completeness of vision. Is it a spread of products across consumer-SMB-Enterprise? Is it a particular feature? A cloud strategy? Scalability? Your competitors who are already in the Leaders Quadrant should have all the qualities she mentions. If they don’t, ask how they became Leaders. Take what you learn and stress these areas of development in future briefings. If you are missing one of the requirements that demonstrate completeness of vision, come up with a strategy to get there. This is vision after all, you don’t necessarily have to have the feature—just the plan to get there. Have you seen the movie “Inception”? Leonardo DeCaprio is challenged to take on the hardest task of all: plant an idea in someone’s head that he thinks is his own. That is what you have to do in the briefing, without the benefit of a dream-making machine. Start small by implanting a tag line. I can tell you that by the end of a busy week of briefings I cannot remember what the vendor I talked to on Monday even does without referring to my notes. At the minimum you want to implant a memory in the analyst’s brain of who you are (your company name) and what you do. “We are iKangaru, the marsupial tracking software company.” In the strange way the world works, the very next week a Gartner client will call to inquire about marsupial tracking software. If you have done your job the analyst will spend half an hour talking about your products. That’s the easy part; the next task is much more difficult. You want to plant the seed of what makes you different. What about your company might force the analyst to re-think his own assumptions about completeness of vision in his MQ? “We are the only marsupial tracking company to realize that all marsupials have pouches.” If you accomplish this you are the de-facto visionary. Now all you have to work on is ability to execute. Think long and hard about what you want to surgically implant in the analyst’s brain. Going back in and removing it or replacing it may be impossible. Ideas are like cancer; they grow. The best possible way to implant an idea is to create that “inception” moment. Give the analyst all the information she needs to come up with the idea on her own. Often you will be able to tell. The tone of the briefing changes. The analyst “gets it”. She starts asking clarifying questions. If you are a client she may even state it for you: “Hey, you are the only vendor in the space that actually uses pouches for marsupial tracking!” Your job is done.